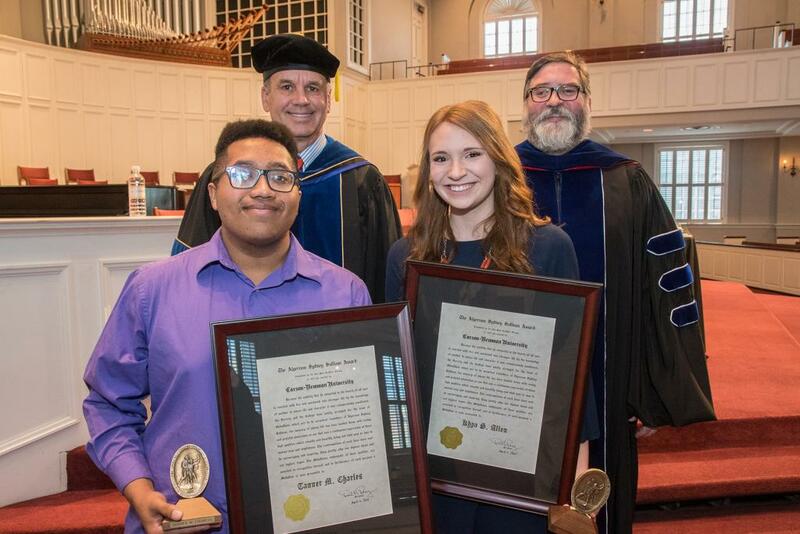 Carson-Newman University honored two students with its highest student award during its Honors Convocation on April 4. Khya Allen and Tanner Charles were each presented the Algernon Sydney Sullivan Award before friends, family and the greater campus community. Related: Click here to view a list of all past Sullivan Award recipients. Related: Learn about the Sullivan Foundation’s twice-yearly Ignite Retreats for young changemakers!